Truly Polished: A big day and a little thank you to a fellow blogger! A big day and a little thank you to a fellow blogger! I hope you're having a good week so far. Today has been a pretty exciting day for me! It's my Mum's birthday, my boyfriend's step-sister had a baby girl this morning, my friend announced she's expecting baby number two, and I arranged for two sets of people to come and view my house. As I mentioned, we're moving soon, so the house we are renting needs new tenants. The sooner we get new people in, the less months of rent we have to pay because we're tied in until March! Fingers crossed the viewings go well, tomorrow I'll be frantically cleaning and tidying to make the house look as attractive as possible! Tonight I thought I'd do a bit of showing off, not bad showing off, but the good kind. I recently won a giveaway over at Confessions of a Small Town Girl. I never win anything, so to have my entry picked from over 600 was amazing. The funny thing is, Charlotte won my 30 follower giveaway a few months ago, our blogs love each other! 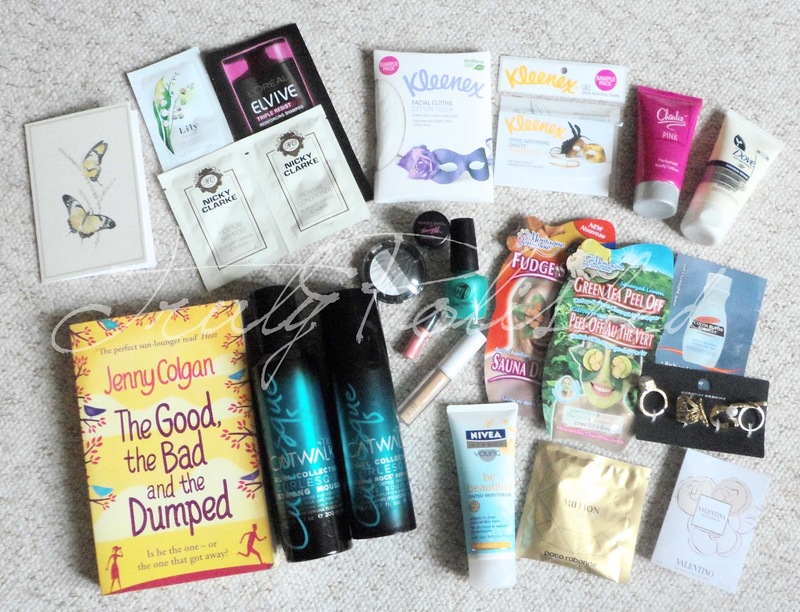 I am amazed by Charlotte's generosity for her Autumn Pamper giveaway, it's things like this that make me love being a part of the blogging community. Here is what I won, she put it all in the most beautiful box and included a card! All packaged up so well! Isn't she lovely for giving all this away?! Thank you Charlotte for being so generous with your prizes, I love everything! I'm trying to think of what I can store in this pretty box, it's too nice for me to give away! I started the book the day I got the package and it was perfect for me. I love this kind of "holiday read" because it's not hard to get through and this one was a real page turner, I was up until 3am reading it and finished it on Saturday night! The main reason I did this post was to show you what you can expect to see on here over the next few weeks, as I'll be reviewing some of these products as I use them! See you tomorrow! In the mean time, why not head over to Charlotte's blog and show her some love! can't wait to see your reviews on the products too.